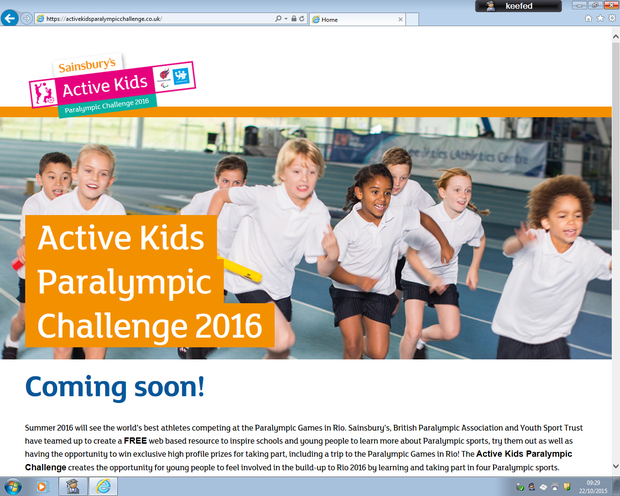 15 pupils from Clare Mount have been selected (as one of only 2 schools) to be involved in the launch of Sainsbury's Active Kids Paralympic Challenge 2016. Other schools and readers are encouraged to register their school by visiting www.activekidsparalympicchallenge.co.uk for teacher and leader resources and sports equipment involving athletics, boccia, goalball and sitting volleyball. Be inclusive! Watch this space for details of the GET SET Road to Rio challenge. The school is delighted to be working with YST Consultant Ken Black again on this project.